Mosquitoes used to be known mainly as nuisances that cause itchy bites. 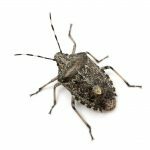 These days, more and more is known about these pests, leading them to be considered dangerous pests. Mosquitoes in SC are able to transmit an alarming number of infectious diseases, making Hilton Head mosquito treatment services essential for homeowners. Learn more about the health problems that these biting pests can cause, so you can protect yourself, your family and your pets this season. West Nile virus is a viral infection that can cause potentially serious and even life-threatening illness in some people. In many cases, this virus doesn’t cause any noticeable symptoms. However, in some cases individuals can end up with headaches, vomiting and other mild symptoms. In more serious cases, people can develop meningitis or brain inflammation, which can be fatal. 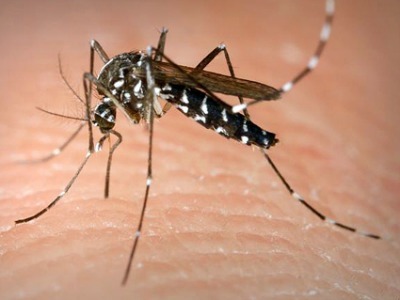 Mosquitoes spread West Nile virus when they bite people after feeding on infected birds. Some communities spray to prevent mosquito infestations that can spread West Nile virus. In other communities, homeowners have to take steps on their own to prevent these infestations, such as by relying on Hilton Head mosquito treatment services. Pets are at risk of getting heartworm disease when they are bitten by mosquitoes. They can carry worm nymphs that cause heartworm disease in cats and dogs. 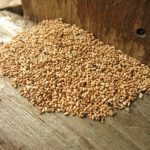 While cats don’t often have serious cases of heartworm, since they are not considered natural hosts, dogs can become dangerously ill from this disease. Dogs that have advanced heartworm disease can develop heart problems and other serious health problems that can become fatal without treatment. Heartworm prevention products are available for pets, but you should also do your part to lower the risk of this disease by keeping mosquitoes at bay. Mosquitoes spread these worms through their bites, which can easily occur when pets are outdoors during summer. Chikungunya is another virus that can end up causing serious health problems in certain individuals. This virus isn’t common in SC, but cases have been reported in some parts of the eastern US. Chikungunya is more commonly seen in South America and Central America, but people who have been to these regions can become infected when they are bitten by mosquitoes. Chikungunya can cause headaches, joint pain, fever, swelling and other symptoms, which usually start to show up within a week after infection. Those who have underlying health conditions, such as diabetes, have a higher risk of complications or more serious health issues when they contract this disease. When you and your family spend more time outdoors this summer, you don’t want to take the risk of getting sick from mosquito bites. 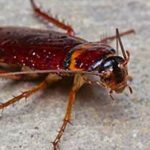 That’s why it’s important to take steps to prevent these pests from being a problem on your property. You can do this by getting rid of any sources of standing water, such as bird baths and pet dishes. Mosquitoes use these sources as breeding grounds, which can lead to bigger infestations and a higher risk of disease. Repairing screens in your windows and doors helps prevent these biting pests from getting inside and bothering you, your family and your pets. Professional Hilton Head mosquito treatment services can also keep these pests at bay. Pest control experts can treat your yard with safe and effective products in order to eliminate current mosquito infestations and prevent more from occurring. Experts know how to find mosquito breeding areas and destroy them. This helps keep everyone in your home safe from these pests and the health problems they can cause. If you need Hilton head mosquito treatment services for your SC home, you can call Island Pest Control for help. Our team of highly qualified and skilled technicians know how to find mosquito breeding grounds and eliminate current infestations, so you can enjoy your summer outside without worrying about diseases.